For most of us, our fur-babies are the children that we were able to choose for ourselves, and we will forever love and cherish them. They are a key part of the family unit which holds us together. 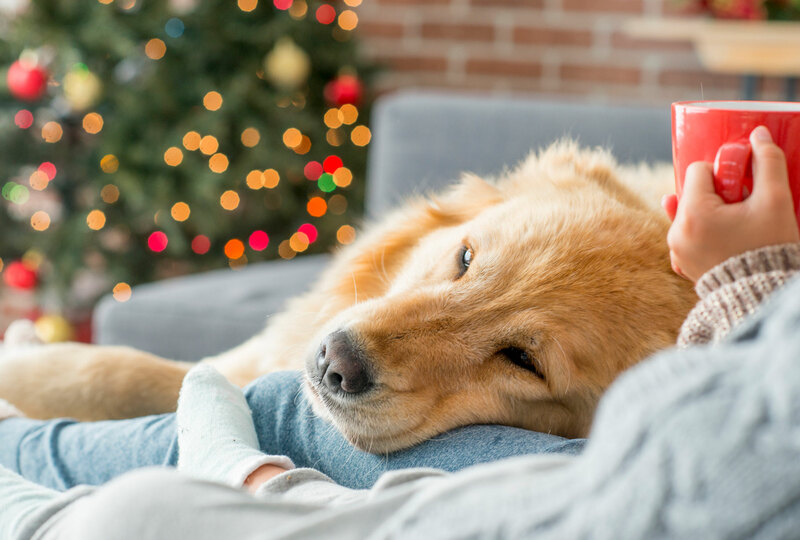 Of course, with all the hustle and bustle of the holiday season, we can’t forget to spend some quality time with our precious fur-babies. Here are some ideas to make you "paws," relax and smell the hot cocoa with your precious pet. Warning: lots of cute Christmas pet photos ahead! For my dog, if there are presents for the kids, there better be one for her. This happens on all birthdays, special occasions and on Christmas. Here’s what she does to the wrapping of the presents: she shreds and dig in the bags for something for her. Even if there isn’t, she’ll start unwrapping the kid’s presents. One year, we didn’t get her a gift for Christmas. So she took my son’s gift. It was a fluffy decorative pillow, perfect for his room. 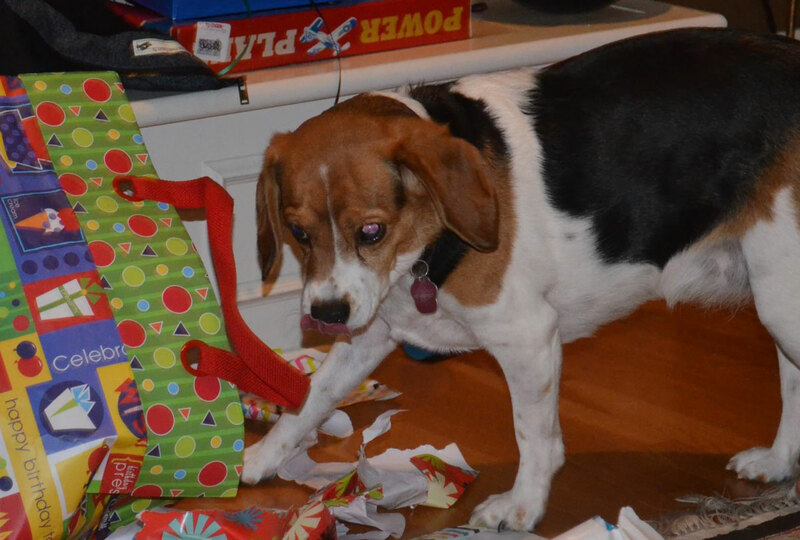 My beagle said no present for me? Fine, I’ll take yours. We learned from our mistakes, and now we are always sure to get our beagle something special. 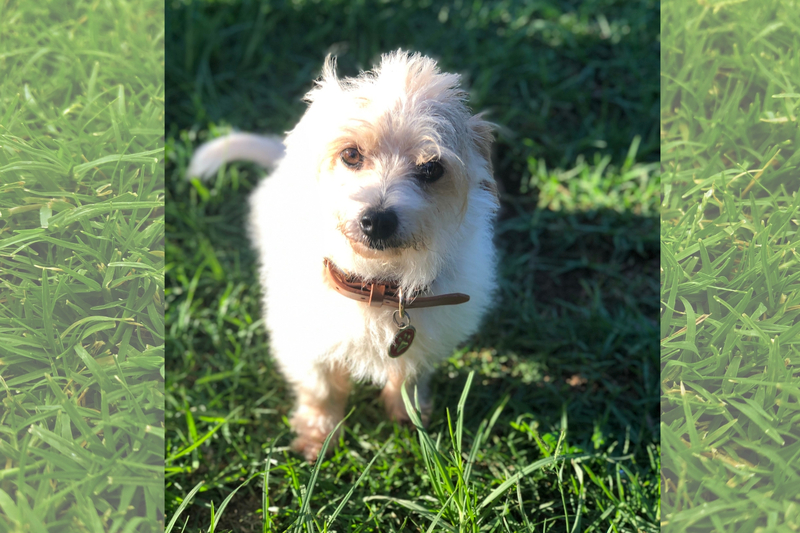 Are you looking for a gift for your fur-baby but not sure what to get? 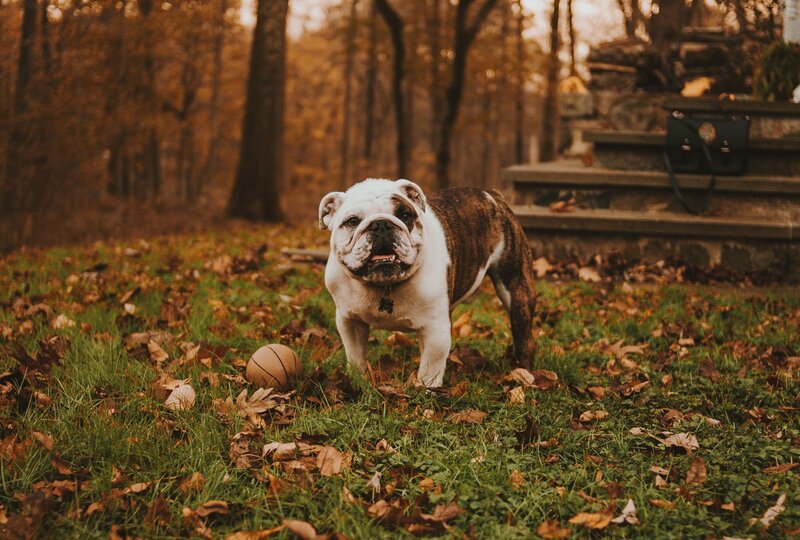 Check out the recent blog article, "Top Christmas Gifts for Dogs & Dog Lovers." Of course, our favorite gift for our dogs are the healthy ones! The yummy treats that are good for them is Glyde® Mobility Chews. 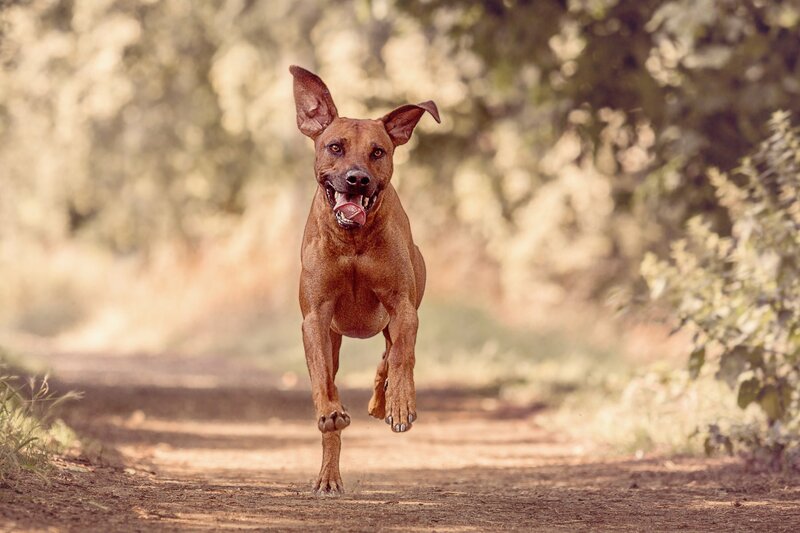 This tasty supplement protects dog's joints from the signs of arthritis. The best part: they think it's a treat; you know it's good for them! 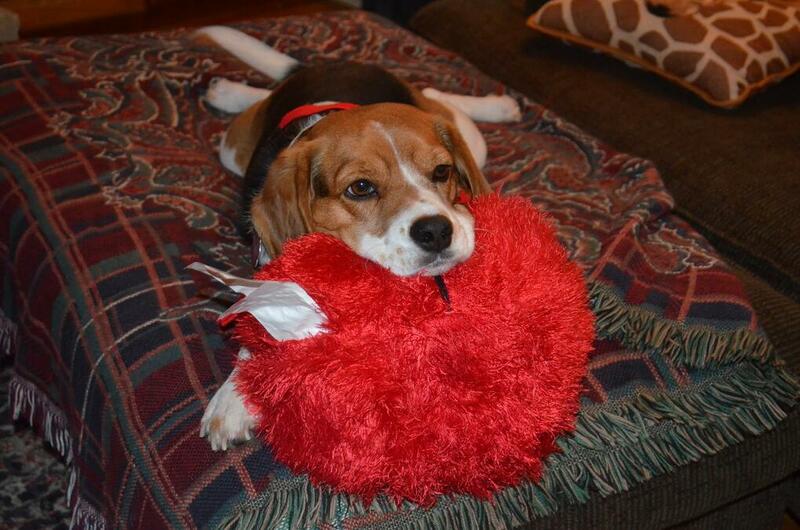 Lucky is a 9-year-old beagle who loves her Glyde. She has done quite the transformation with Glyde. Often people do not believe me when I say she's 9, she still acts like a puppy! You and your precious fur-baby could settle in to a perfect dog movie. Rover.com came up with a list of great holiday movies to watch with a dog as one of the main characters. Barkbox also came up with a list of movies to see with your dog. The previous list had some glaring omissions. Such as, how could they leave out Santa Buddies? Thankfully, the Barkbox list didn't! We are all about dressing up your pets in holiday gear. 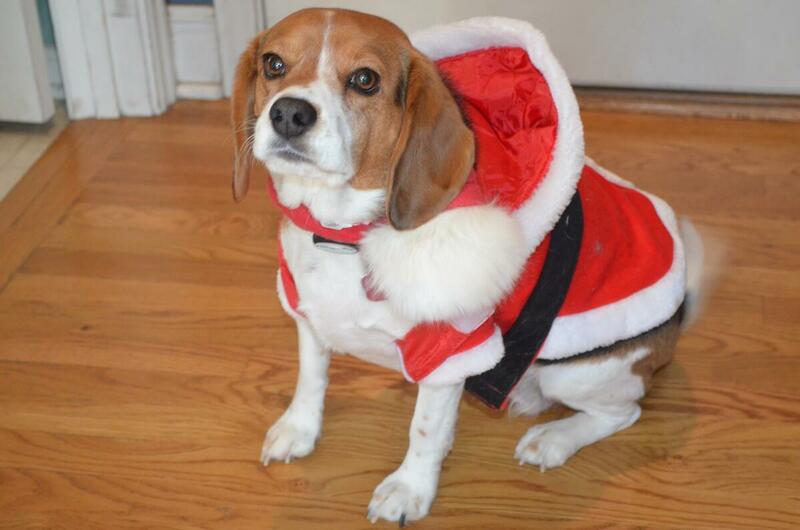 Here are some pet bloggers who have their pets all decked out in holiday gear. Be sure to follow "It's Doug the Pug!" Pugs have great expressions on their faces. "GoldenWoofs" post beautiful pictures of the star of their blog: Koru Bear. Are you on FaceBook more? The page "My Brown Newfies" has great images of their adorable Newfoundland dogs, including this one with their Santa hats. Pet blogging has become a great pastime, and even turned into a business for some. Those who have real talent have hundreds, even thousands of followers. If you follow them, you will enjoy seeing beautiful imagery and reading about their dogs and cats. Not sure where to start? Try the ones just mentioned. Also, read The 55 Best Pet Blogs for some great recommendations. This should give you plenty of ideas to enjoy the holidays with your fur-baby! We wish you and yours Happy Holidays and a Merry, Furry Christmas and Happy New Year!